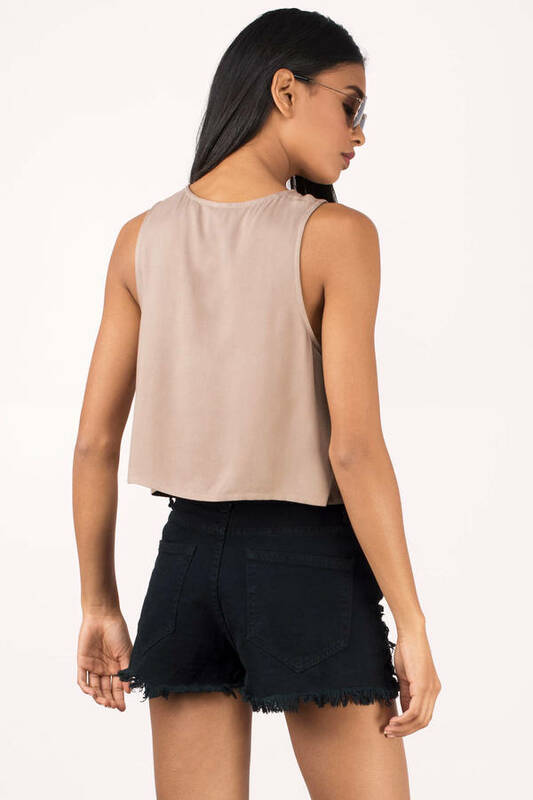 Check out Tobi's Madison Lace Up Crop Top Crop to it in the Madison Lace Up Crop Top! Featuring a plunging v-neck with a lace up detail on a soft rayon knit. Wear this with loose ties or laced up for instant #outfitgoals. 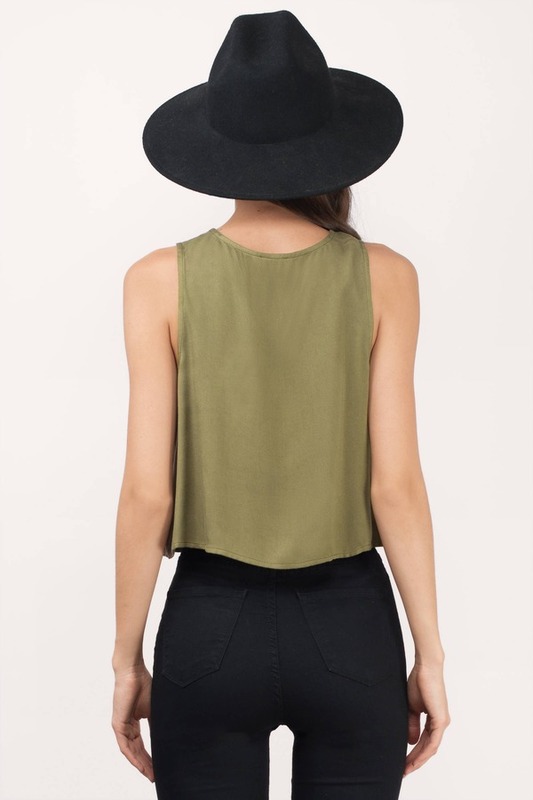 Crop to it in the Madison Lace Up Crop Top! Featuring a plunging v-neck with a lace up detail on a soft rayon knit. Wear this with loose ties or laced up for instant #outfitgoals.